Deadline for registration is Friday, March 27. This garden is in Pasadena. Address and parking information will be mailed once your RSVP has been received. Starting in 1977 with the removal of a boxwood hedge, the Haynes family garden has been an ever-changing project. It is used by fellow SCHS member and landscape designer/contractor Laramee Haynes as a display and test garden for Haynes Landscape Design. The garden has hosted various social events including 8 weddings, 14 open house/plant sales and countless Easter egg hunts. The new back patio garden includes many water-thrifty flowering plants and a slow-moving, heat-powered sculpture. The back garden nursery and greenhouse have produced thousands of plants that are well suited to our California climate and often hard to find. This working garden is ever changing with new puzzles to solve, care to give, joy to celebrate and sadness to endure. It is a story to tell for the many people who visit and care for it. Laramee Haynes is a landscape designer and contractor in Pasadena. After engineering school, Laramee worked in manufacturing as a machine designer. He built special machines to package powders and liquids used to test water. After many years he decided to buy his father’s home and landscaping business and start a new life in Pasadena. Now over 14 years later, he cannot imagine choosing another path. Laramee loves the art, science, beautiful plants, people, problems and places that are his typical day. 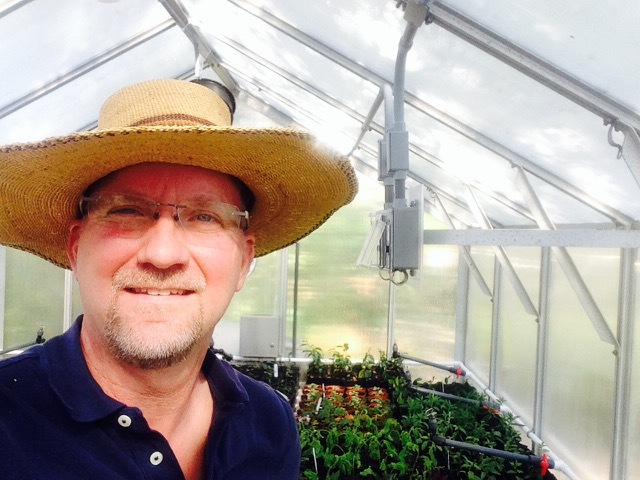 Laramee has installed several gardens for Pasadena Showcase House for the Arts including a greenhouse display where he gave plant propagation demonstrations. Combining his past and current careers he built an eight foot diameter rotating garden for wheel chair users that was shown at the LA County Arboretum garden show. 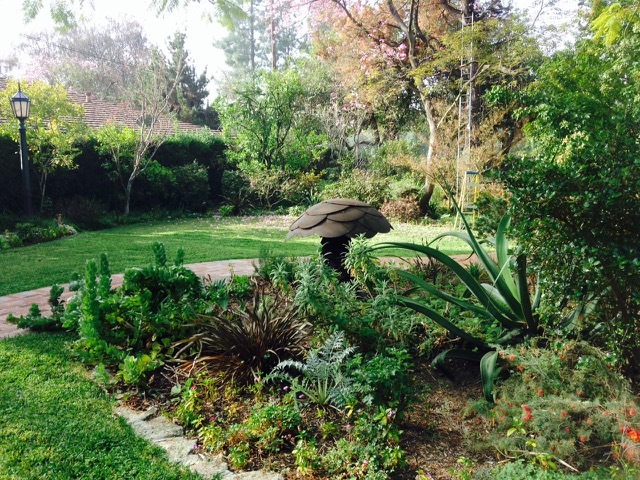 The spring 2014 Theodore Payne Foundation garden tour included a large 100 percent California native garden in Altadena installed by Laramee and company. Laramee frequently gives garden talks at the LA County arboretum.